Scott Cushy bath tissue adds quality and comfort to restrooms in offices, hotels and other facilities. 1 ply tissue, 48 rolls per pack. 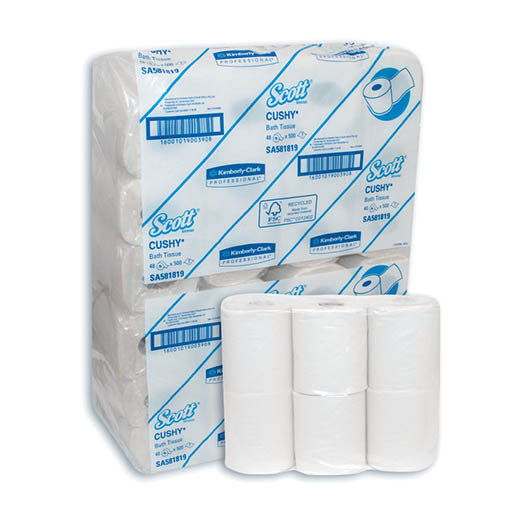 Scott Cushy white coloured bath tissue adds quality and comfort to restrooms in offices, hotels and other facilities. Ideal for high traffic washrooms, helping to control cost and waste as it dissolves in cold water and doesn't block drains.